Whenever the National Women’s Soccer League gets promoted on social media, whenever this past weekend’s Championship Final was hyped up, whenever the superstars of the game said anything to the media, some rando on Twitter with zero followers and a default egg avatar will feel the inescapable need to interject with that nugget of unsolicited wisdom. No one cares about women’s soccer. 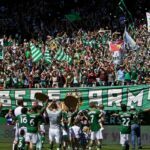 21,114 fans poured in to Providence Park in Portland on Saturday to watch their beloved Thorns compete in the NWSL Championship Final. That’s the highest attendance figure for any professional women’s championship match, in any league, in US history. That’s not a thing that happens by accident. Even in Portland. 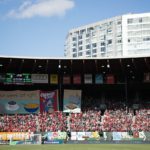 While the Thorns boast one of the largest supporter bases in the NWSL, a not-insignificant number of those in attendance came on the merits of what looked to be a titanic match-up. The defending league champions, aiming for their second title in a row and their third all-time, facing off in a rematch of last year’s final against the North Carolina Courage. The challengers had come off one of the most dominant seasons in the history of American club soccer— men’s and women’s— with 17 wins, six draws, and only one loss. 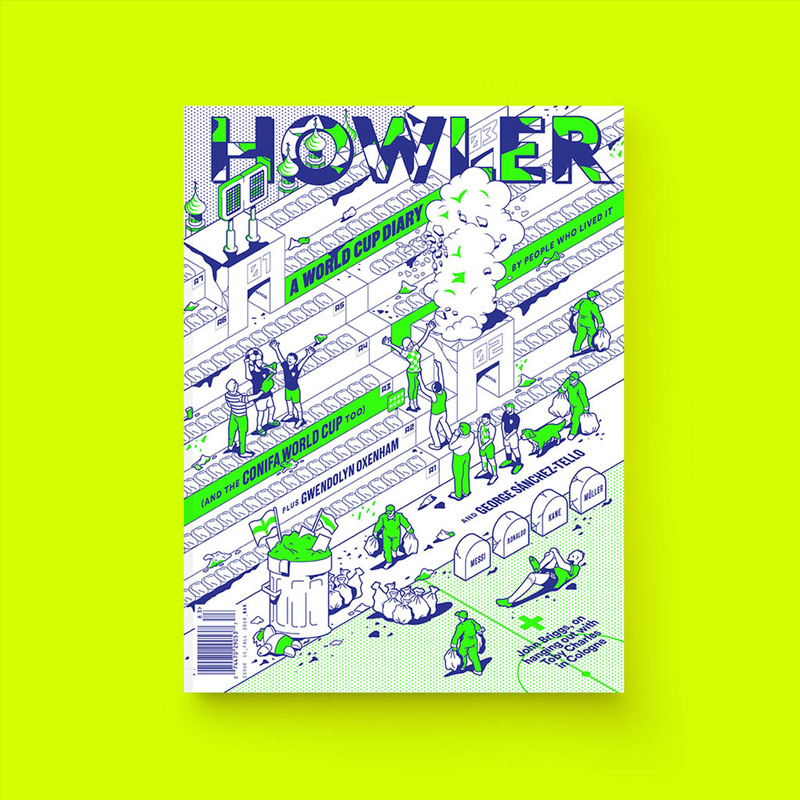 This was going to be a big deal, and everyone, everyone knew it. 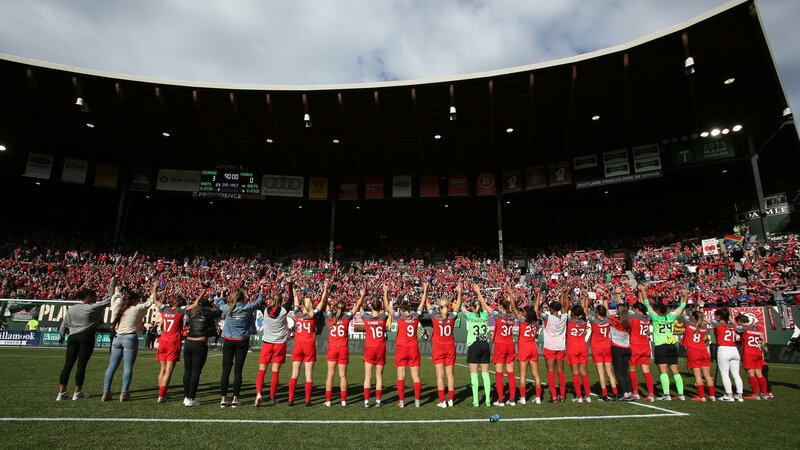 After the game, Portland forward and legend in Canadian soccer Christine Sinclair said this year’s Final was about establishing a benchmark. The 2018 season did offer a glimpse of what the future of women’s soccer in the US will be. For good or ill, it’s going to look a lot like the rest of professional sports in this country. For the most part, that’s good. Women’s soccer is entertaining. Women’s soccer tells compelling stories. Women’s soccer is lucrative. Women’s soccer brings people together. The economic and cultural forces that work to deny the women’s game legitimacy are losing their grip on their gatekeeping powers. We know this because fans and media are demanding better from the league. The NWSL has been beset by controversies in 2018— some typical of any professional sports organization, some that could only happen in this league. 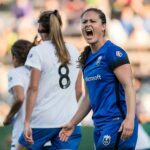 Two NWSL teams from 2017 did not survive to see 2018; FC Kansas City was moved to Utah and rebranded as the Royals, while the Boston Breakers were unceremoniously wound up. The saga with Sky Blue FC concerning the club’s treatment of players and general operational malpractice remains a black mark on the league, both for allowing things to get this bad in the first place and for their tepid and inadequate response once the stories went public. Several games held in Seattle and Portland last month were forced to go ahead more-or-less as scheduled despite much of the Pacific Northwest being blanketed in wildfire smoke. And barely a fortnight ago, the league dragged their feet on making a decision regarding the playoff semifinal between North Carolina and Chicago as Hurricane Florence bore down on the Eastern Seaboard. All of these problems were made worse by a literal lack of leadership at NWSL headquarters. It may seem glib to pivot here, but it really must be said that despite all these issues, the 2018 NWSL season was probably the best in the league’s history. Maybe all of women’s soccer in the US. The games were fun— some rained goals, others were tense strategic battles, but few matches this season could be considered boring. Sam Kerr missed the first two months of the season and still managed to win the Golden Boot. Rivalries were deepened, and strengthened, and renewed. And through it all, North Carolina steamrolled every team that thought they could slow the Courage down. North Carolina went into the Final this weekend with not just the crowd against them, but history. No team who won the NWSL Shield had won the Championship. Even a league as young as the NWSL can have curses. But curse or no, the Courage would not be denied. Portland put up a noble fight, but their title defense melted before the blistering radiance of the challengers. North Carolina cruised to a 3-0 win, capping off a truly historic year in the history of the sport in this country. All this happened in front of a large, boisterous, supportive crowd. Fans of the home team, to be certain, but also those invested in the women’s game. Fans who get behind their players and their clubs. Fans who have bought in to the project of American WoSo. Portland defender Meghan Klingenberg didn’t hold back when describing what the support from fans means to her. You can fake caring. But you can’t fake showing up.